What Is the Subscriber Global Status? 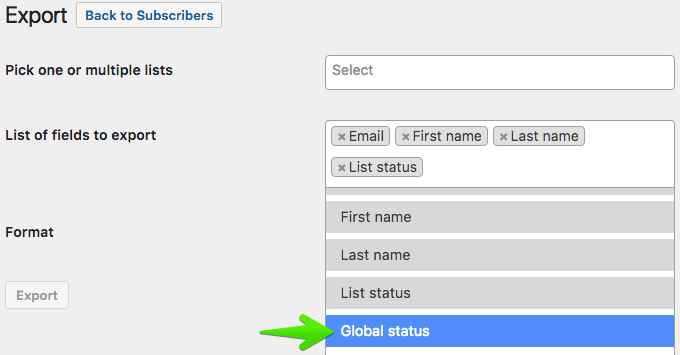 When exporting subscribers, by default there's the option to export List status field, but it's also possible to add the Global status field. List status will export subscribers individual status for the lists you've chosen to export. It means all users that once subscribed to that list will be exported. By adding the Global status field, subscribers will be exported with their global status. E.g. a user could have been subscribed to a list and currently, their global status can be unconfirmed, unsubscribed, or bounced.